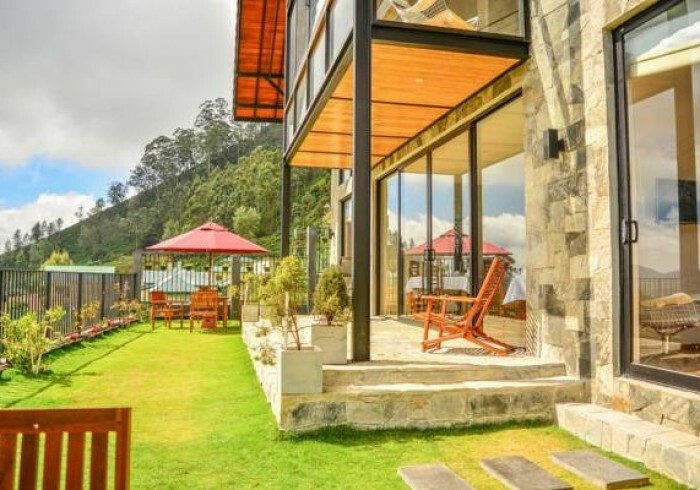 The Highlands by Unique Hotels – Nuwera Eliya Location Details: Address: 41/3A unique view road, Nuwara Eliya The hotel is also walking distance to the The highlands are centrally located in Nuwara Eliya city. With a very modern setting, surrounded by picturesque landscapes of emerald greens, overlooking the Lake Gregory, the Piduruthalagala Mountain and one of Nuwara Eliya’s oldest tea estates, The Highlands is the perfect place to get away from the hustle and bustle of city living whilst enjoying some high-tea or a candle-lit dinner as you take in the scenery. Nuwara Eliya golf course, scenic Victoria Park and esteemed race course. The Nuwara Eliya market; Famous for street vendors, merchants and restaurants is also only 10 minutes by walk and the Nanu Oya Railway station; which is Nuwara Eliya’s closest station, is only 6.8km away. The highlands hotel also features a 24 hour reception as well as an around the clock housekeeping team and security guards.